GABORONE, Jan. 5 (Xinhua) — Wildlife authorities and experts in Botswana on Thursday hailed an ivory trade ban in China as a vital step to reducing the slaughter of the endangered animals. 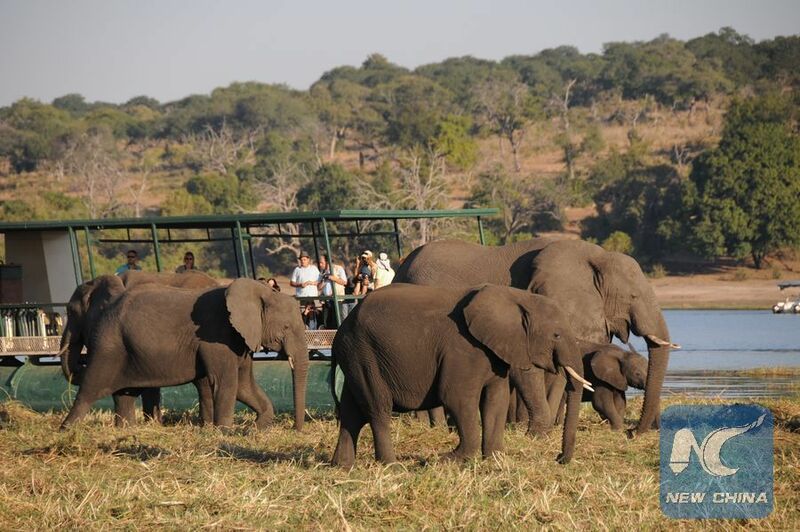 In a telephone interview with Xinhua, Botswana’s Environment, Natural Resources Conversation and Tourism Minister Tshekedi Khama said the move offers hope for the future of elephants in Botswana and the better part of Africa. China closed doors to the ivory trade on Dec. 31, 2017, as it became illegal to trade in ivory and its products in the world’s most populace nation. China has taken the eradication of ivory trade upon herself and public awareness campaigns featuring celebrities have helped boost awareness of the bloody cost of ivory. According to Khama, it is estimated that 30,000 elephants are killed by poachers in Africa every year with Botswana bearing the brunt since her economy is hinged on tourism. He said tourism is an increasingly important industry in Botswana, accounting for almost 12 percent of the country’s Gross Domestic Product (GDP). “It (ivory trade ban) is the greatest single step toward reducing elephant poaching and ensuring that our tourism increases the revenue to the government coffers,” said Khama. Khama hailed China for a full closure of the door on ivory trade. Kenneth Sechele, a board member with Elephants Scents – a non-governmental organization responsible for protecting elephants from extinction – said the ban on all ivory sales has already led to an 80 percent decline in seizures of illegal ivory entering China. “A 65 percent decline in raw ivory prices has also been realized in China. This shows that China had taken a decision that qualifies to be a historic one world over,” he said. Sechele said the ban on imports of African ivory carvings will boost the fight against wildlife crimes in Botswana and the region. “The move by the Chinese government is a strategic decision that will rejuvenate the fight against poaching in the country and the region. China has inspired governments and individuals campaigning for the stemming of wildlife crimes,” Sechele told Xinhua in a telephone interview. Executive Director of Our Elephants, Our Pride, a non-governmental organization in Botswana, Monwametsi Mothibi, praised China’s ban on ivory trade as a revolutionary stride. Mothibi said his organization is very grateful that the Chinese government has found in its heart to stop trading in this commodity. According to the International Union for Conservation of Nature, the population of African elephants declined by 111,000 over the past 10 years. The overall trends in the poaching of African elephants show a decline from the 2011 peak, but are still at levels too high when viewed continent-wide.